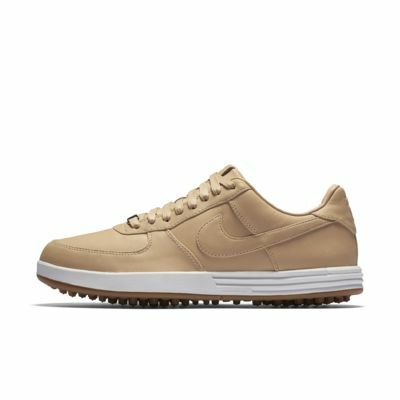 Combining the silhouette of a classic Nike Air Force 1 with a design made for golf, the Nike Lunar Force 1 G Premium Men's Golf Shoe features premium leather and responsive cushioning for an elevated look and total comfort on the course. Combining the silhouette of a classic Nike Air Force 1 with a design made for golf, the Nike Lunar Force 1 G Premium Men&apos;s Golf Shoe features premium leather and responsive cushioning for an elevated look and total comfort on the course. Have your say. Be the first to review the Nike Lunar Force 1 G Premium.